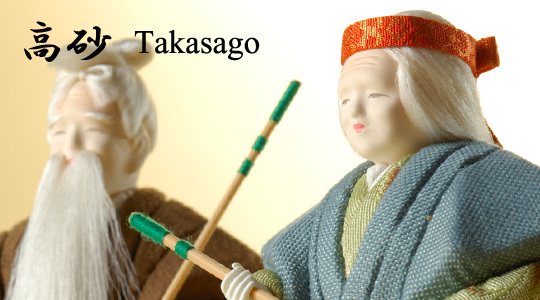 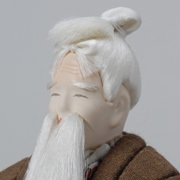 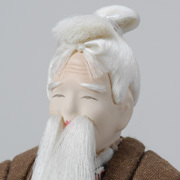 akasago dolls symbolize the longevity and harmony of a marital relationship. 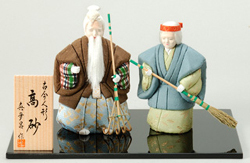 The motif is an elderly couple, fairies of Aioi no Matsu. 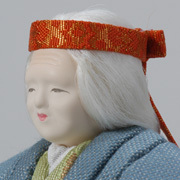 The male and female pine trees ("matsu") grow intertwined with one another. 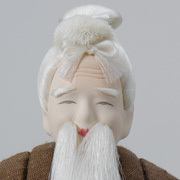 This symbolizes a good marital relationship. 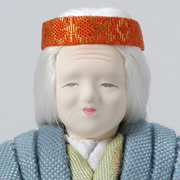 Thus these dolls are a popular for an engagement gift. 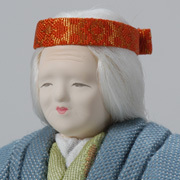 Also, pine trees symbolize longevity and are treated as very auspicious trees in Japan.